When working with Entity Framework – Code First model approach, developer creates POCO entities for Database tables. The benefit of using Code First model is to have POCO entity for each table that can be used as either WCF Data Contracts or you can apply your own custom attributes to handle Security, Logging, etc. and there is no mapping needed as we used to do in Entity Framework (Model First) approach if the application architecture is n-tier based. Considering the Data Access layer, we will implement a repository pattern that encapsulates the persistence logic in a separate class. This class will be responsible to perform database operations. Let’s suppose the application is based on n-tier architecture and having 3 tiers namely Presentation, Business and Data Access. Common library contains all our POCO entities that will be used by all the layers. Common Library: Contain POCO entities. We will implement an interface named “IRepository” that defines the signature of all the appropriate generic methods needed to perform CRUD operation and then implement the Repository class that defines the actual implementation of each method. We can also instantiate Repository object using Dependency Injection or apply Factory pattern. /// Select Single Item by specified expression. The benefit of using Repository pattern is that all the database operations will be managed centrally and in future if you want to change the underlying database connector you can add another Repository class and defines its own implementation or change the existing one. Thanks. Nice post. Helped me a lot. However I am struggling in implementing paging. I am herewith posting my code. See if you can help me. Thanks in advance. Can you help me figure out how my GetPaged() method should be? Please comment with your suggestions. 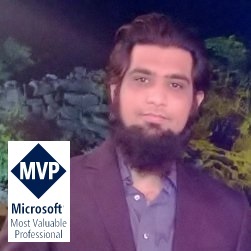 Hello Ovais, I’ve implemented the Repository pattern as it is in my project, however when I try to add a new item in the database I get an error that says “The entity type Object is not part of the model for the current context” what could I be doing wrong? Have to specified DbSet properties for your objects? sure to do not disregard this website and provides it a look regularly.